Making a film or TV programme? shooting a music video? Welcome to our site, please view our gallery for an idea of the equipment we have. All items we hold are for hire and some for sale [please enquire]. We’re based in Cheshire just south of Manchester and can deliver anywhere in the UK or ship by courier. 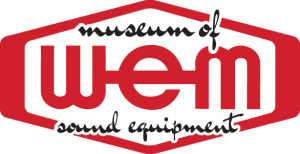 We have the largest collection of WEM 1960’s and 1970’s PA and sound equipment in the country, in addition to HH, Vox, Marshall, Shure, Selmer, Carlsbro, and Martin Audio vintage PA systems. We also have a large collection of vintage guitar amps from Vox, Fender, Marshall, Music Man, Selmer, Peavey and more! Plus a large selection of vintage mixing desks from 4 channel to 40 plus channels, microphones, tape machines, vintage radios and studio and live rack effects units. Also! 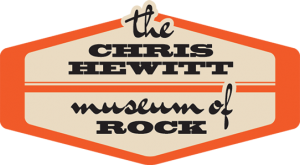 open for pre-booked visits for people in the industry, musicians, students or anyone interested, The Chris Hewitt Museum of Rock - the country’s best collection of Rock and Roll Sound Equipment!